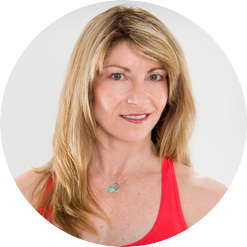 Shawna Kaminski has been a fitness professional in the industry for over 25 years. She has a Bachelor of Kinesiology and Bachelor of Education in addition to a number of fitness certifications including a Master Turbulence Training certification. She was a schoolteacher for 20 years. Then she decided to pursue her passion in the area of health and fitness exclusively. She’s owned a small group training studio and multiple boot camps. Currently she owns and operates Calgary NW Fit Body Boot camp. Shawna was a guest fitness expert on Spike TV’s ‘Gym Rescue’. She’s authored many articles in both local and national publications including PFP Magazine. She’s been the lead instructor for Fit Body Boot Camp University where she’s created the curriculum and still teaches other trainers how to effectively teach boot camp. Shawna is 52 years old, has two children and a one-eyed rescue dog. She personifies health and wellness through example. Obtaining inexpensive shades isn’t going to constantly imply that you are just acquiring very low high quality shades. It is basic to get reasonably priced shades on-line from every of the well-known designers. The on the web prices with regards to glasses are much much less costly than you would spend in an exceedingly standard keep and there is certainly a sutlaantibsly broader amount of designer sunlight glasses available.